Warner Bros chief Kevin Tsujihara has stepped down from the studio after claims that he promised roles to an actress with whom he was having an affair. 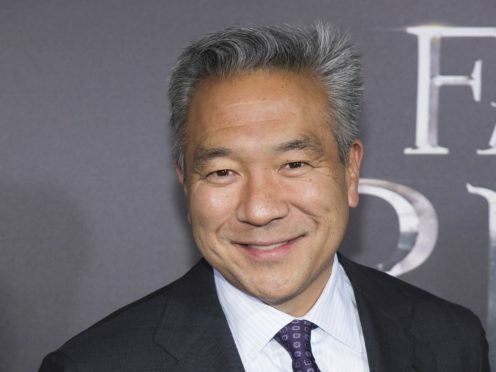 WarnerMedia chief executive John Stankey announced Mr Tsujihara’s exit as chairman and chief executive of Warner Bros, saying his departure was in the studio’s “best interest”. He is one of the highest ranking Hollywood executives to be felled by sexual misconduct allegations. “Kevin has contributed greatly to the studio’s success over the past 25 years and for that we thank him,” said Mr Stankey. Earlier this month, WarnerMedia launched an investigation after a Hollywood Reporter story detailed text messages between Mr Tsujihara and British actress Charlotte Kirk going back to 2013. The messages suggested a quid pro quo sexual relationship between the aspiring actress and the studio head in which he made promises that he would introduce her to influential executives and she would be considered for roles in movies and television. In a memo to Warner Bros staff on Monday, Mr Tsujihara said he was departing “after lengthy introspection, and discussions with John Stankey over the past week”. His lawyer Bert H Deixler earlier said Mr Tsujihara “had no direct role in the hiring of this actress”. Mr Tsujihara, who has headed the California studio since 2013, earlier pledged to fully co-operate with the studio’s investigation and apologised to Warner Bros staff for “mistakes in my personal life that have caused pain and embarrassment to the people I love the most”. The scandal unfolded as Warner Bros was restructuring on the heels of AT&T’s takeover of WarnerMedia, previously known as Time Warner. Mr Tsujihara’s role had just been expanded on February 28 to include global children’s and family entertainment including oversight of Adult Swim and the Cartoon Network. Kirk appeared in Warner Bros’ How To Be Single in 2016 and Ocean’s 8 in 2018. She has denied any inappropriate behaviour on the part of Mr Tsujihara or two other executives, Brett Ratner and James Packer, who she communicated with. “Mr Tsujihara never promised me anything,” Kirk said in an earlier statement. Mr Tsujhara responded: “Richard will be reaching out to u tonight,” referring to Richard Brener, president of Warner Bros’ New Line label. WarnerMedia, the studio’s parent company, said on Monday that its internal investigation into the situation, carried out by a third-party law firm, will continue.